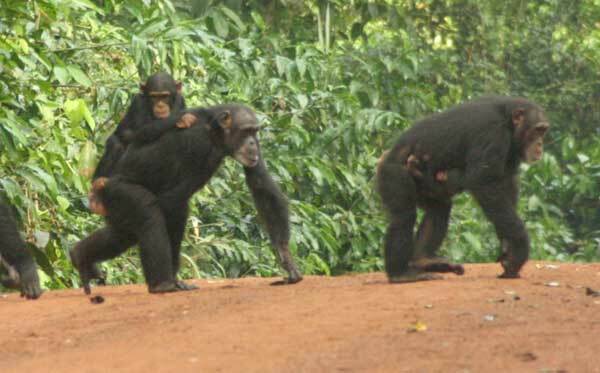 Wild old chimpanzees in Bossou were observed by time sampling method. 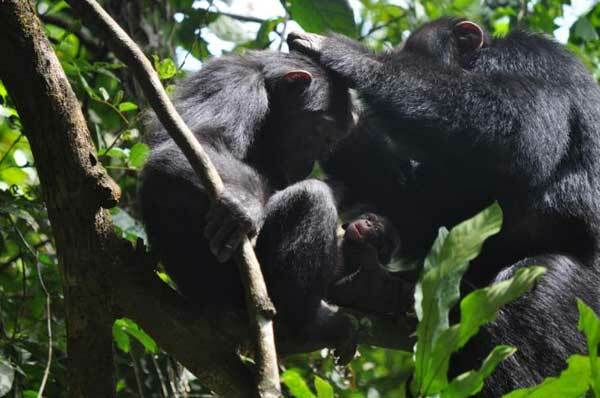 Additionally the birth of a wild chimpanzee was observed. The chimpanzee who gave the birth was born in Bossou, and her mother has been taking care of the first child since the child had been born. It means grandmother was taking care of her grandchild. The first child was still dependent, and now grandmother is taking care of the first child all the time. It can be said that because grandmother is taking care of the first child, it was possible to give the next birth before the first child had become independent. There were two old females who were after menopause. Their abdominal circumference seemed increased in spite of their thin extremities. In human, large abdominal circumference, hypertension, glucose intolerance and dyslipidemia interact with each other to develop arterial sclerosis. It is called metabolic syndrome as a well-known concept in human. But it is unknown the same concept can be said in chimpanzees or not. Chimpanzees living in Bossou sometimes doing crop raid and eating rather high caloric foods. They might be able to live longer because of their rich nutritional environment. But what will happen if they live very long after menopause? It is needed to observe what kind of disability will occur in these old chimpanzees in future after menopause. A new female came to a village near to Bossou. Bossou members also visited the village twice during my stay. But unfortunately they could not find each other. Grandmother is carrying her grandson(left), and mother is carrying her nowborn son(right).